In the year of 2015, which coincides with the year of sheep/lamb/goat, the sheep theme is by far the most popular! Each is unique in their way, and we love styling for them according to each customer's expectations :) This particular dessert table falls on Christmas day itself, and styled with baby blue, grey and white. I love how cohesive the colours come together for the baby boy full month celebration. 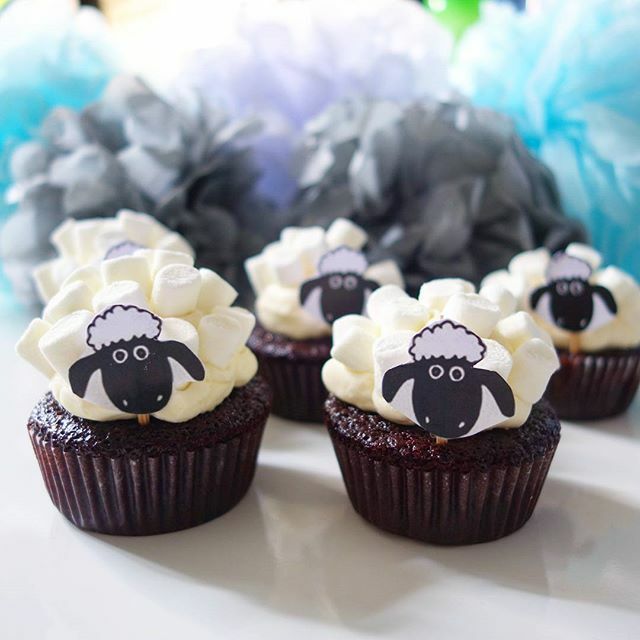 We transform the cupcakes into little sheeps, with a printed sheep head, and marshmallows mimicking fur on the sheep! They look too cute to eat! We are also loving our cake pops on the table. These are a hit with kids at a party, and we also make them as wedding favours and corporate gifts!